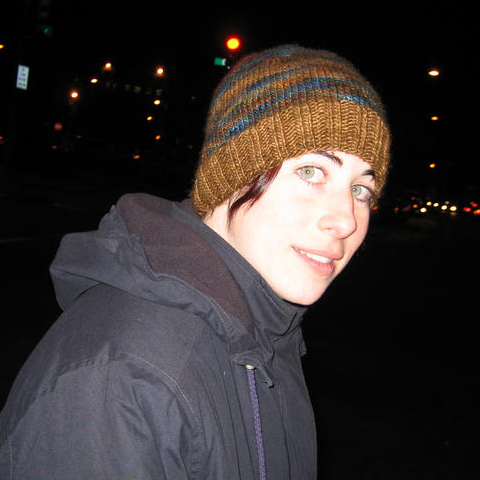 The Knitting Pirate » In Which the Pirate Begins a Hat. « In Which the Pirate Measures. In Which the Pirate Begins a Hat. I've never been one to let leftovers go to waste. Perhaps I hold onto them a little longer than necessary (note to self: remove dead casserole from fridge) but when we're talking about yarn, leftovers are great! A couple of years ago, I made this hat of Manos del Uruguay. It fits my head perfectly, which is more than I can say about most store-bought hats. I love the blue, gold and teal of the Stellar colorway, and the golden-tan of the ribbing was a perfect match for it. The only thing is... it doesn't go with my new scarf. Enter the leftovers. 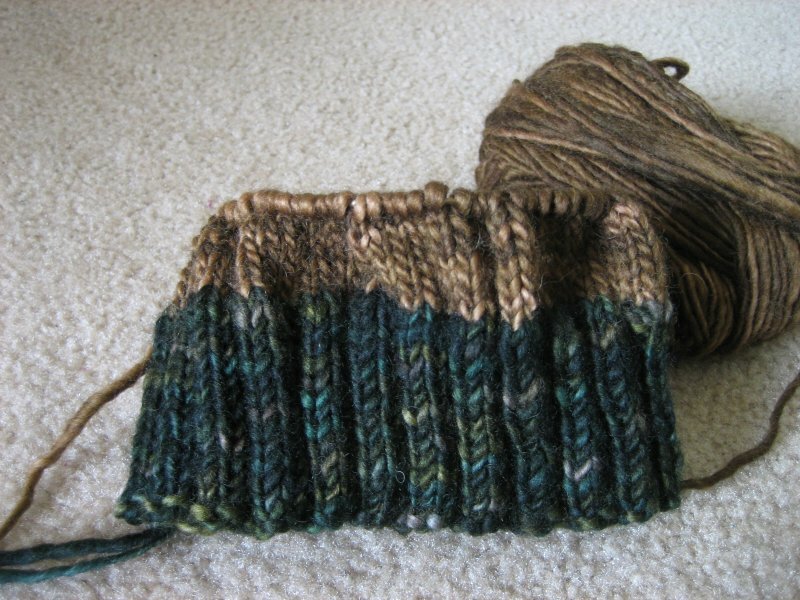 There is enough green from the scarf for the ribbing and a stripe, and enough golden-tan from the first hat for the body of the second hat (I hope). And it's really nice to knit stockinette in the round for a change. I barely have to look at what I'm doing! The babypants are glaring at me. I swear, I will work on them tomorrow. Honest! The baby's due on the 16th now. I still have time, right? ...right? This entry was posted on Thursday, May 3rd, 2007 at 17:38 and is filed under hat. You can follow any responses to this entry through the RSS 2.0 feed. Both comments and pings are currently closed. What hat pattern do you use?